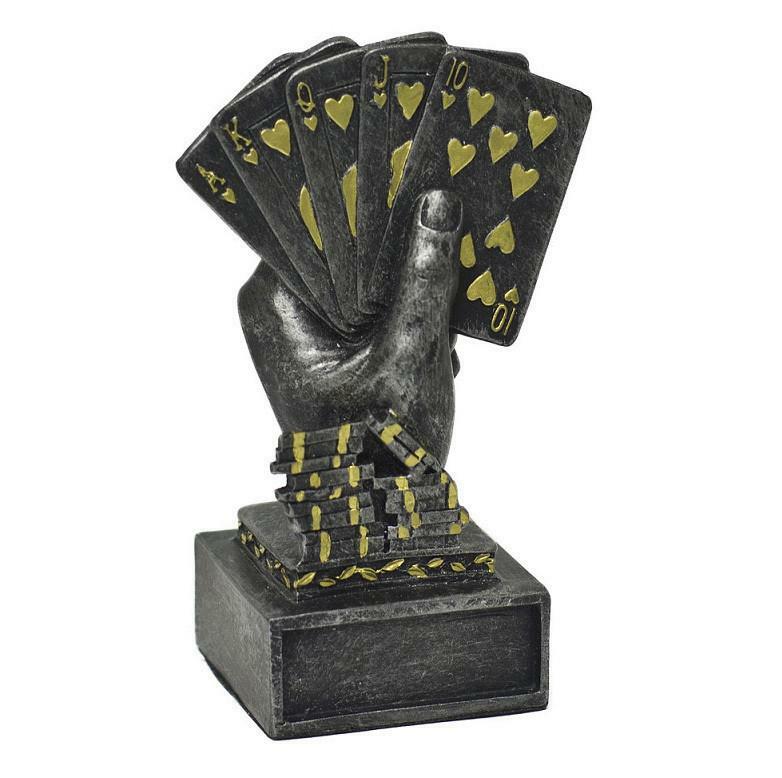 This is a Royal flush Poker Award Trophy. It is a perfect award for the winners of your poker tournaments and also a good gift for your poker friends and poker players. This sturdy and eye-catching trophy is a fine prize. Base of trophy has an area to mount an optional engraving plate 2 inches by 2 inches. Award your first, second and third place winners with these trophies. This trophy stands about 5 inches tall and available in gold, silver or bronze finish with purple tint.